There are many therapeutic benefits of essential oils. Aromatherapy is so naturally suited to stress relief that it almost like it was designed for it. The small molecules captured in essential oils have benefits for all our organ systems–the same systems which are taxed while under stress. And the oils have a natural “intelligence” to do what your body needs. They tonify and balance, so while you may think that you are putting wintergreen on your neck to relieve your sore muscles, you may also receive some relief to your hypertension. In their most pure form, essential oils are the distilled essence of a plant, and if they are pure and well-made, they can be used herbally. Because the life-blood of healing plants are captured, and because the oils are very potent, they make ideal remedies for stress. However, finding pure essential oils can be difficult. Most essential oils are produced for the perfume industry and because of this, are made with chemical fillers, additives and extenders. You must be sure to use only the most pure, reliable oils if you want the therapeutic benefits of essential oils. Even the oils at health food stores should be carefully investigated before using them for your health. Just because something is marked “100% pure” or “all natural” does not guarantee that these oils are safe for therapeutic use. Essential Oils balance and tonify our organ systems. They can increase blood flow to muscles and help them relax. They can help regulate blood pressure and restore normalcy. They can increase the oxygen flow in our blood. They can remove and reduce toxins in our system. They can reduce cortisol and other hormones released in acute stress situations. They can counteract and reverse the wear and tear of chronic stress on our bodies. They can reduce insomnia and help get a more restful sleep. My favorite essential oils for physical stress relief include Lavender and Valerian, both especially good for restoring the parasympathetic nervous system and promoting a good night’s sleep. I also find the blends “Valor” and “Peace & Calming” bring quietness. Sandalwood is high in sesquiterpenes which stimulate the pineal gland to release melatonin, which is a hormone which regulates sleep, and stimulates the immune system. For sore, achy muscles, I like to use Basil or Marjoram. Both of these oils are muscle relaxants and can release the tension in your muscles. Wintergreen also brings pain relief to muscles with the hot-cold “Bengay” sensation, but wintergreen is natural and will bring the other healing benefits of the plant, which include anti-inflammation, vasodilation, and hypertension regulation. Peppermint brings oxygen immediately to the brain and blood. This excellent essential oils brings alertness but not hyperactivity. Cortisol is a hormone that is released during stress. If you have high cortisol levels over a long period of time, there are many detrimental effects including a weakened immune system, brittle bones, high blood pressure, weight gain and mood disorders. Essential oils balance hormones and so may help regulate cortisol. Some good oils to try include Lavender, Valerian, Frankincense and Blue Tansy. The therapeutic benefits of essential oils are many. They are safe, natural, and balance the body, and correct the cause of imbalances and not just the symptoms. The next time you are stressed, try aromatherapy. Having a good sleep and stress relief are both possible with aromatherapy. 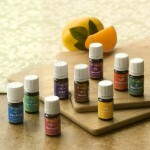 Essential oils are excellent and soothing the nervous system. Find out which oils are best to start with and have a great sleep. Insomnia is the poster child of aromatherapy. If any condition has been studied and restudied to see the affects of essential oils, it is insomnia, and the oil of the day is lavender. However, as effective as lavender is to promote a good night’s sleep, there are many other oils which can be equally beneficial to relieving sleep disorders. The first factor to look at with sleep disorders is the root cause of the insomnia. Can the cause be corrected by a behavioral change (eating earlier in the day, reducing alcohol or caffeine consumption, etc.)? Are your sleep problems resulting from a physiological imbalance? Physiological imbalances may include decreased melatonin production, a natural result of aging, excessive stress, depression, long term use of some medications, chronic pain, etc. If there is a cause below the insomnia, then it is always best to address that cause in addition to the insomnia. To begin, assess your daily routines and make any behavioral changes which make sleep as easy as possible. Exercise, eat early in the evening, avoid stimulants, etc. Make everything in your bedroom ready to suggest sleep, so put away any work, business materials or anything that stimulates your mind. Want Excellent Sleep and Stress Relief? Choose one of the following oils and give it a try. If it doesn’t give you relief, then try the next one. Aromatherapy gives quick results, so suffering night after night, hoping that an oil will work will not usually change the results. Each body is different so you may need to find the oil especially suited to you. Lavender. 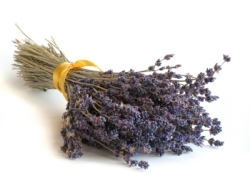 Lavender is the first oil to try for both sleep and stress relief. It has been used for centuries for insomnia. Try putting a few drops on a tissue next to your pillow and see if your sleep improves. Chamomile. Chamomile has been used for a long time to soothe children. It is calming and relaxing and combats depression and stress. Jasmine. Jasmine is technically an “absolute” and not an essential oil. Interestingly, the flowers must be picked at night for maximum fragrance. Jasmine is used for anxiety, depression and insomnia, as well as just because it smells nice. Melissa. Melissa has been used to heal the heart or the emotions. It is calming and uplifting and balances the emotions. If you can’t sleep because your heart is aching, give Melissa a try. Valerian. Valerian is widely recognized as a mild sedative and sleep-aid, including by the German Commission E, a German government regulatory agency that has studied herbs for efficacy and safety. For many nervous conditions, you can try valerian. Peace & Calming blend. This is a marvelous blend which smells delicious (it contains tangerine) and both uplifts and calms. I diffuse this blend in my massage room before giving a massage to create a restful environment. This blend is often used with overactive pets and children because it is so lovely and effective. Rub a drop or two on your arms and chest and smell it as you sleep. Dream Catcher blend. This blend helps open you for creative dreams while inhibiting negative ones. I would try this blend if my sleep was not satisfying. Use Dream Catcher to stimulate creativity while sleeping. There are several ways to use these oils to improve your sleep and stress relief. You can inhale the aroma by putting a drop on a tissue near your bed, or using a diffuser. Any way you can enjoy the scent will bring the relaxing effects to your body. Inhalation is most recommended for emotional support. You can also use the oils topically. Rub a drop or two on your palms and then rub it on your arms. You can put a drop on your chest so that you smell it during the night. If you want the benefits of the oil, but you don’t want to smell it, rub some on the soles of your feet. The oils can penetrate your skin and soothe your nerves. 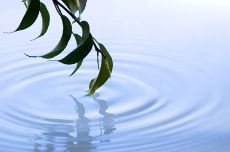 Aromatherapy can be used for emotional, spiritual and physical relief of all your stress symptoms. You can use them everyday for many common tasks. Anytime you inhale the oils, you receive the benefits of them.